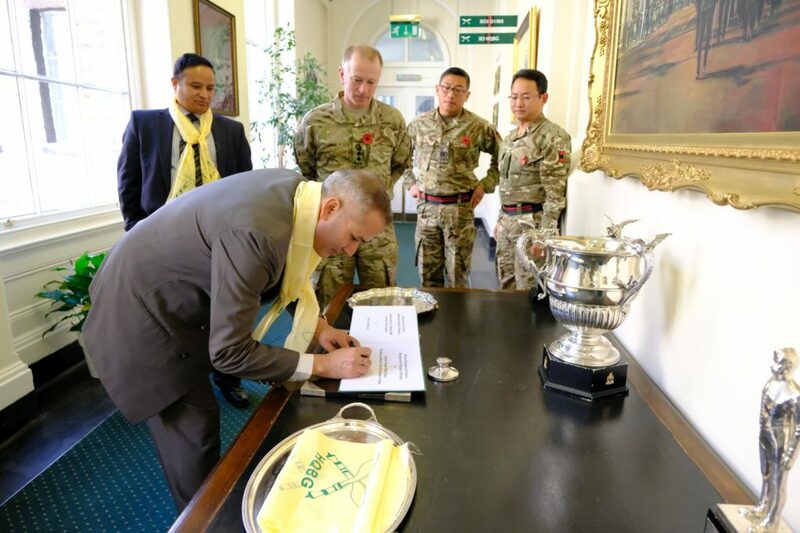 The new Military Attaché at the Embassy of Nepal London, Colonel Kumar Babu Thapa visited the Headquarters Brigade of Gurkhas on 6th November 2017. 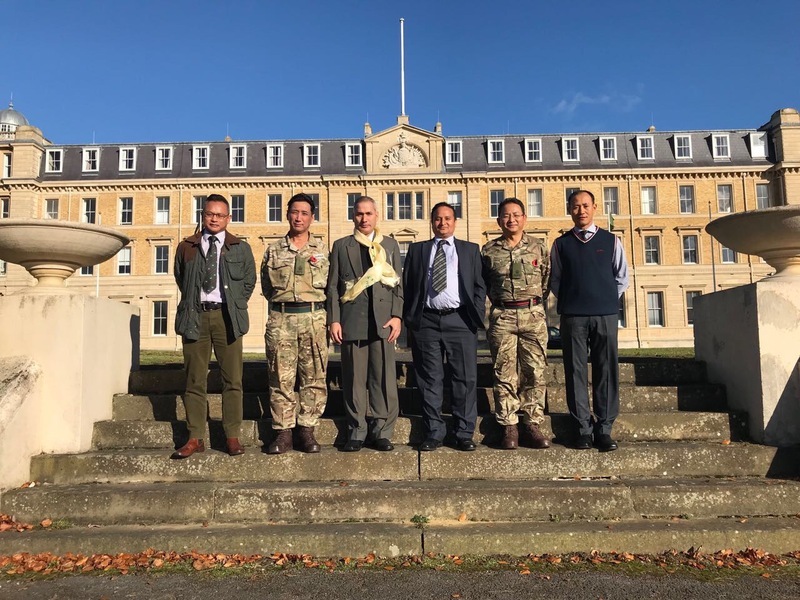 Colonel Brigade of Gurkhas, Colonel Robinson welcomed Colonel Kumar Babu Thapa and provided him with an overview of the Brigade of Gurkhas and emphasised on the need to continue to strengthen the relationship between the this headquarters and the Embassy in London. Nepal established diplomatic relations with the United Kingdom in 1816. Treaty of Friendship between Great Britain and Nepal was signed in 1923 which further formalised relations between the two countries. Ever since the establishment of their diplomatic relations, friendship, mutual understanding, cordiality, cooperation and respect for each other’s national interests and aspirations have characterized relationship between the two countries. The United Kingdom is also the first country in the world with which Nepal had established diplomatic relations. The United Kingdom is the first country in the world which established its Embassy in Kathmandu, the capital of Nepal. This is the country where Nepal had established its first diplomatic mission (Legation). Nepal had established its legation in London in 1934, which was the first Nepalese diplomatic mission established at the foreign country. It was elevated to the Ambassador level in 1947 A.D.
See the Embassy website for more details.